In March, during a mainland trip to visit our college daughter, I started receiving phone calls from old family friends whom I haven’t heard from in years. What I thought were surprise hellos were concerned calls. 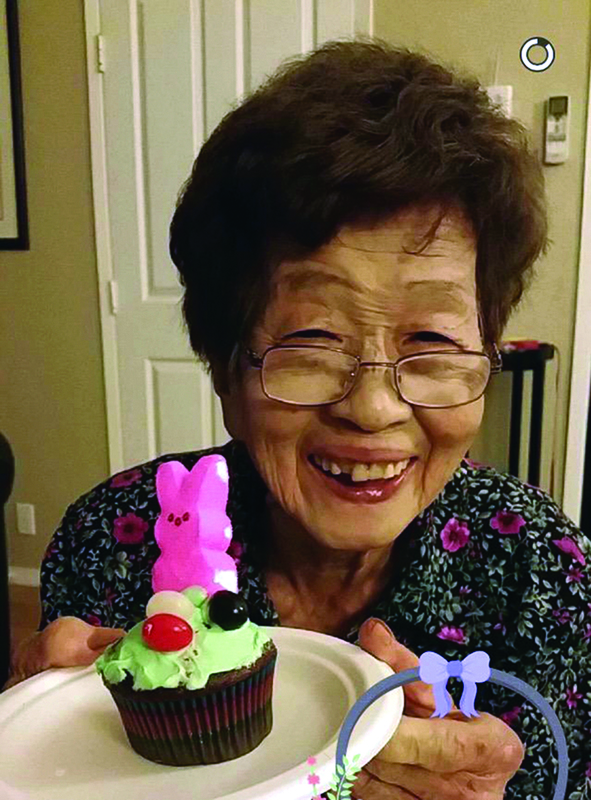 Kimiko Suzuki, who lived at Kalākaua Gardens senior living community, passed away on July 29, 2017. My mother, Kimiko Suzuki, 88, had reached out to them due to a sudden onset of fluid buildup in her legs. Three years earlier, my dad, at age 84, had passed away from a heart attack. My mother, a year older than my dad, still was physically and mentally strong. She had continued with the family business, which kept her active and filled with a sense of purpose. But now, her ability to walk was greatly hindered due to fluid buildup in her legs, later diagnosed as edema from stage 3 kidney failure. The edema prevented her from getting around the house, and even preparing meals for herself. When my wife and I returned from our trip, I quickly transferred my mother to our home, intending to care for her for as long as we could. However, within a few days, I quickly found my mission had become impossible. Our home is a three-story townhouse. The nearest restroom was next to a flight of stairs. With her inability to walk, even with a walker, she grew fearful of going to the restroom. A simple bath took nearly an hour because the full bathroom is located on the third floor. When I went to work and left her alone during the day, I realized my action bordered on neglect. A little over a week after trying to adjust to this life, my mother suddenly said the most striking thing to me: “It would be all right if I went to a retirement home.” These words were significant because in the first days of her stay with us, she insisted on not being put in any sort of foster care. visited her daily during lunch or dinner and spent two hours with her. After a short adjustment period, my mother found her way at Kalākaua Gardens. I didn’t have a concrete plan in place when my mother fell ill. I now realize the importance of learning in advance about aging. Every family’s decision will be different based on a variety of factors — the degree of illness, number of caregivers and money available for care. I do not feel there is one right way. I made the best decision for my family based on our situation. Others may second-guess my decision. If your parents live long enough, you will go through what I have. Please prepare. Be realistic about your role as a caregiver. I thought I could do more, but I admit that I reached the limits of my abilities. I want to thank everyone at Kalākaua Gardens for their assistance. They truly are angels. I also want to thank my wife for her understanding and patience, and for helping us to adjust to our family’s changes.